In memory of Stephen Hawking, we journey from earth's surface to the outermost reaches of the universe. The Hubble Space Telescope has captured stunning images of space and revolutionized our understanding of the universe. In memory of Stephen Hawking. 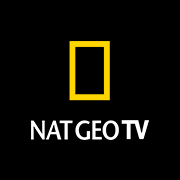 In memory of Stephen Hawking, Nat Geo joins scientists at the Johns Hopkins Applied Physics Laboratory in conjunction with NASA on a historic mission.